The International Boxing Association (AIBA) has received 41 questions from the Inquiry Committee debating the sport’s Olympic future. Auditing company Deloitte has forwarded the questions to the crisis-hit body with AIBA’s place at the Tokyo 2020 Olympic Games remaining under threat. In November, the International Olympic Committee (IOC) formed the Inquiry Committee due to ongoing issues with AIBA’s governance, financial management and the integrity of its competitions. 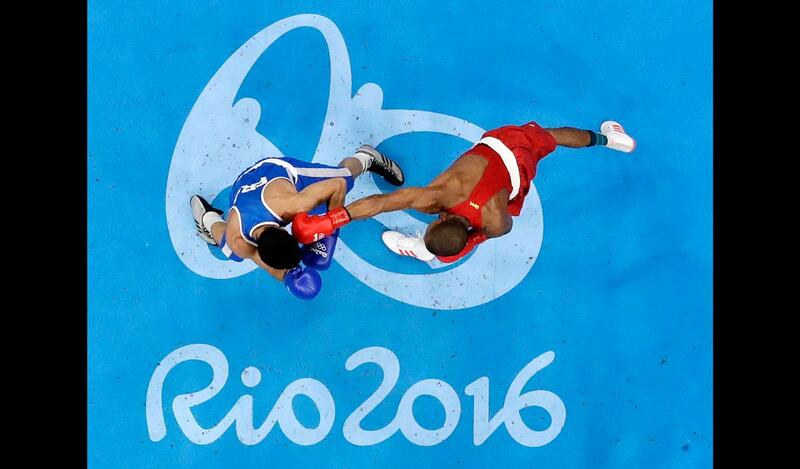 AIBA has promised to respond to Deloitte’s questions, despite describing a deadline of February 21 as “tight”. They have primarily been asked about finances but governance, ethics, refereeing, judging and anti-doping have also been covered. Twenty-one points highlighted in a previous report on the Buenos Aires 2018 Summer Youth Olympics by PricewaterhouseCoopers (PWC), which AIBA says it is in the process of implementing, have also been referenced by Deloitte. The governing body has claimed it is “moving forward” with the ongoing investigation. “The International Olympic Committee has requested Deloitte to do a report on the AIBA International Boxing Association following their Executive Board decision to set up an Ad Hoc Inquiry Committee related to the Association,” a statement said. “AIBA has received from the Inquiry Committee a request with 41 questions from Deloitte focusing primarily on finances but as well on governance, ethics, refereeing and judging and anti-doping. “Part of Deloitte’s request deals with the 21 points of the PWC report which AIBA is in the progress of implementing. IOC Executive Board member Nenad Lalovic was chosen to head the Inquiry Committee. The IOC have said that they hope to hold a boxing tournament in Tokyo but this could go ahead without AIBA’s involvement. They have frozen all planning for the sport in the Japanese capital which includes AIBA being unable to use the Olympic rings or Games logos. Chief among the IOC’s stumbling blocks is the permanent election of Gafur Rakhimov as AIBA President in November, despite him being described as “one of Uzbekistan’s leading criminals” by the United States Treasury Department. Rakhimov has denied any wrongdoing but the IOC have said there is “uncertainty” about his role as President. Other concerns include the body’s financial situation, anti-doping efforts and the integrity of judging. AIBA has regularly claimed that it is improving and has pledged a new audit to prove healthier finances. They also plan to introduce a new protest system in a bid to ensure fairer judging. “In the last past year, the International Boxing Association has shown significant progress in regard to its finance and governance,” their statement added. “Following the improvements made, AIBA has put into place assessment tools to determine how to move forward with the next phase. “The Association desires to continuously improve on the successful changes already made and has requested a new audit in February to assess the progress, evaluate the actual situation and clearly show its improved financial health. “This audit will be happening in parallel with the Deloitte report. The IOC told insidethegames last month that the Inquiry Committee was “progressing” with its work and had held its first meeting. AIBA have raised concerns over the speed of the process with the qualification system for the potential boxing tournament at Tokyo 2020 not yet decided. Tom Virgets, executive director at AIBA, told insidethegames earlier this month that boxers were “suffering” as a result. IOC officials are hopeful final confirmation of whether there will be an Olympic boxing competition at Tokyo 2020 – and who will organise it – will come at their Session in Lausanne in June.